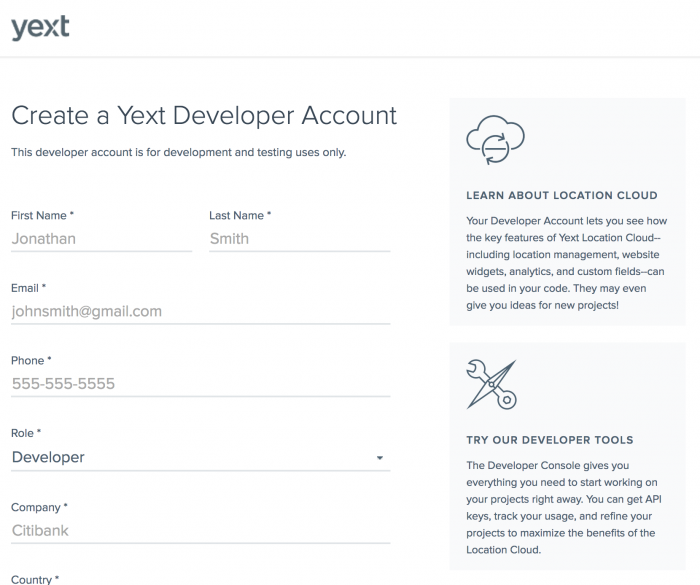 This past November, Yext launched developer.yext.com, where developers can get started with our APIs and stay up to date on new features. Some of our customers may know about our RESTful APIs that allow businesses to automate their Knowledge Management. We are very proud to announce both an update to our entire suite of APIs and a brand new interface for managing, visualizing, and debugging your integrations: API v2 and the Developer Console. At Yext, we take pride in our integrations. We have integrated with more than 80 publisher websites to correct and maintain our customers’ business data, and we have worked with APIs of just about every shape and form along the way. With lessons learned from these integrations, our experience building APIs for our customers, and a combination of industry best practices, we set out with the goal of making the Yext Knowledge Engine a world-class developer experience. Developers who want to test the capabilities of our Knowledge API and begin integrating with their platform can create an account, get an API key, and start developing within minutes. Go to our Get Started guide to do just that! We wanted better documentation for humans and computers, so we decided to implement the OpenAPI specification (OAS). Designing and maintaining our API with the OAS allows us to quickly update documentation, generate new libraries with every new feature as it is released, and let users import their code into tools like Postman to start sending requests right away. Two-way communication is essential in the real-time environment of knowledge management. We decided that users of our API should never have to regularly hit our endpoints to learn about changes, so we implemented Webhooks for updates to your locations, listings, or reviews. As every developer knows, good logging is the first step in debugging problems with an API, so we added comprehensive logging to every API call you make. We built a world-class system for logging and displaying your API requests. No matter how many API calls you send us each day, you can always pinpoint that one request that keeps failing by logging in to the Developer Console and checking the logs. Yext has a diverse set of APIs that our customers use in a wide range of applications. 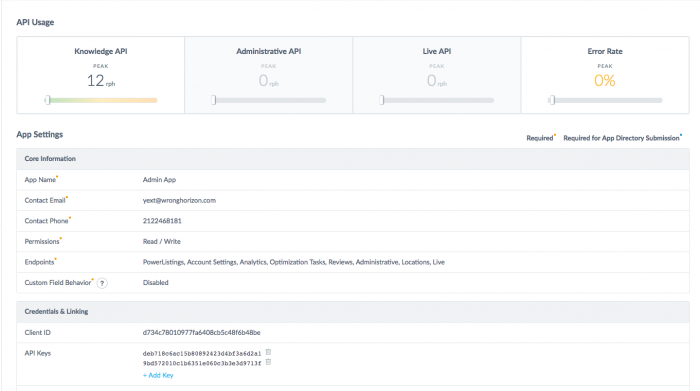 If you have a mobile app, a store locator on your website, and a server-side integration with our Administrative API, why use the same API key for all three? how much of your quota, or rate limit, to allocate to it. We at Yext have seen just about every type of API in the land, so we aimed high. We’ve put together a really amazing set of features to enable our customers and developers to manage their digital knowledge. Subscribe to our blog to stay updated on the latest news about our APIs and Developer Console!